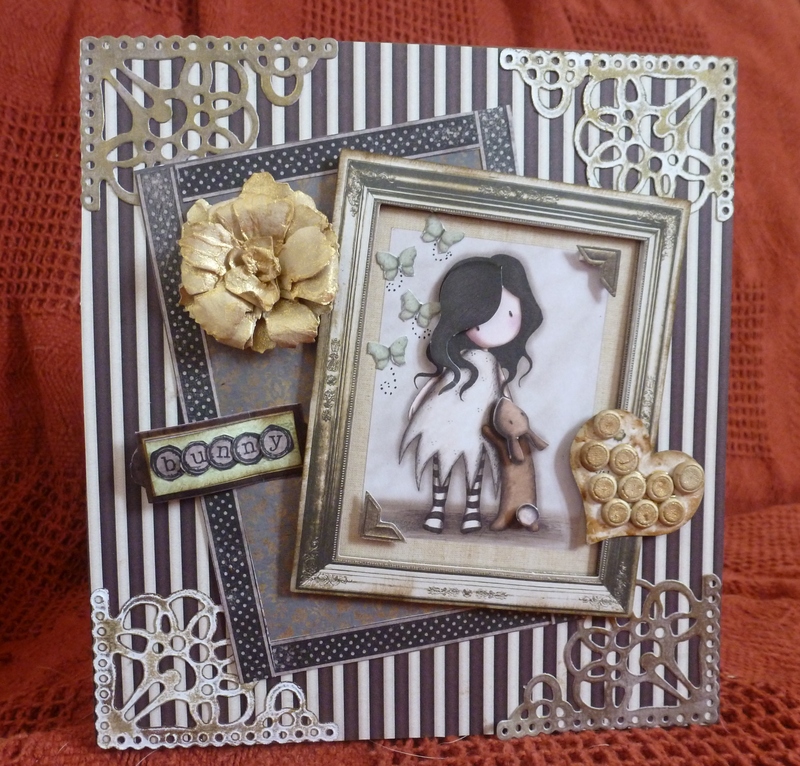 Heres another Gorjuss Girl card, Im hooked on them at the moment! 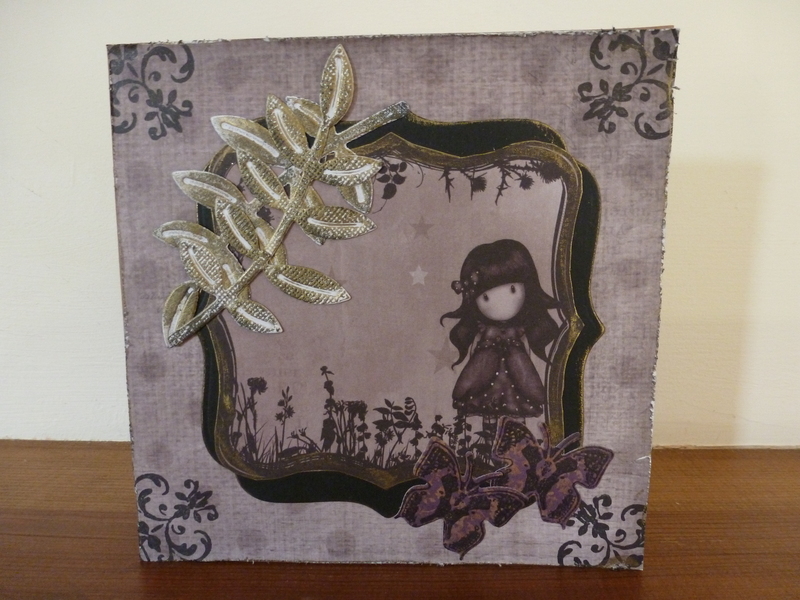 This range has been updated by the makers and we have some fabulous new colours and images to play with! l love her in green! 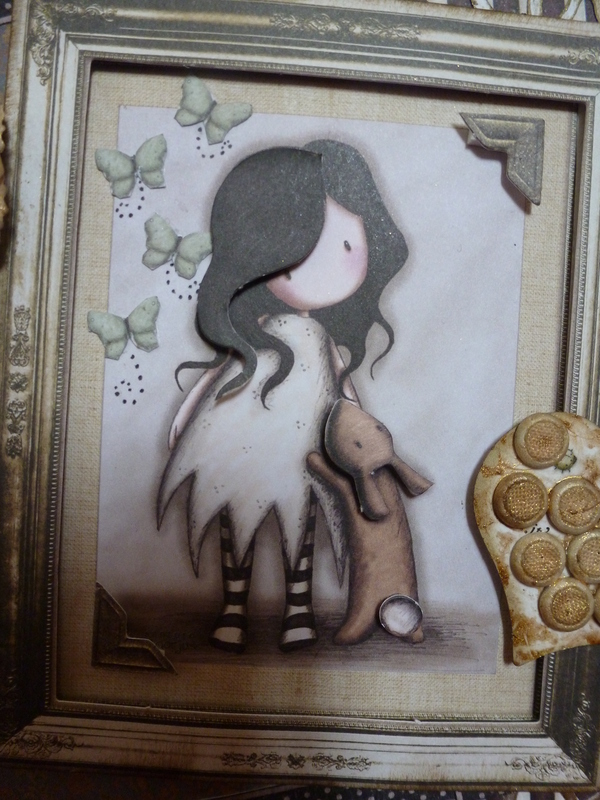 lve made some more but unfortunately l cant post them here yet until l know if docrafts are going to use them ! But watch this space! 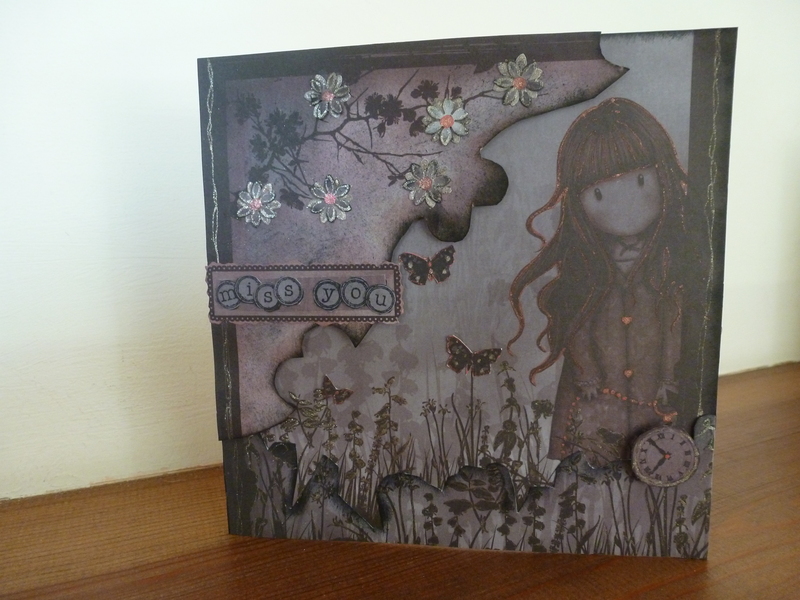 Ive just made these Gorjuss Girl cards and am loving my darker, shadowy feel! Hope you do too! 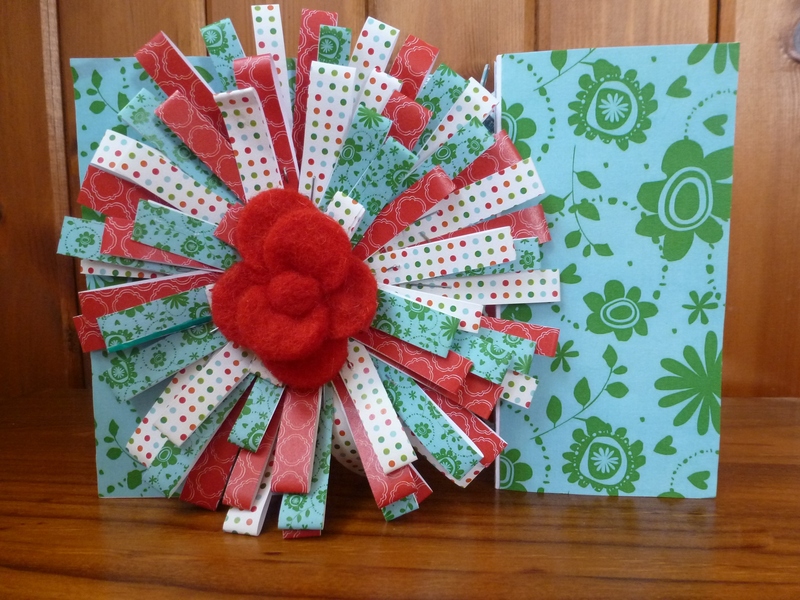 This is the card I made for #docraftsmonday which is on facebook as part of the official docrafts page. We post a new make every Monday to get people motivated and also hopefully they will visit our blogs this way to increase our traffic! 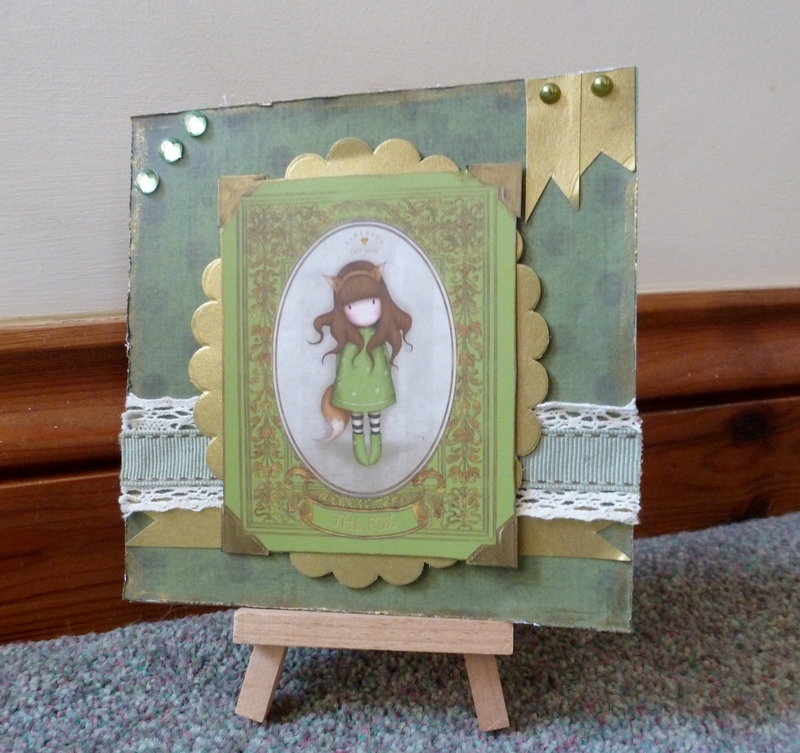 I made this with the Gorjuss range, which has been re-vamped and I am just LOVING working with it! 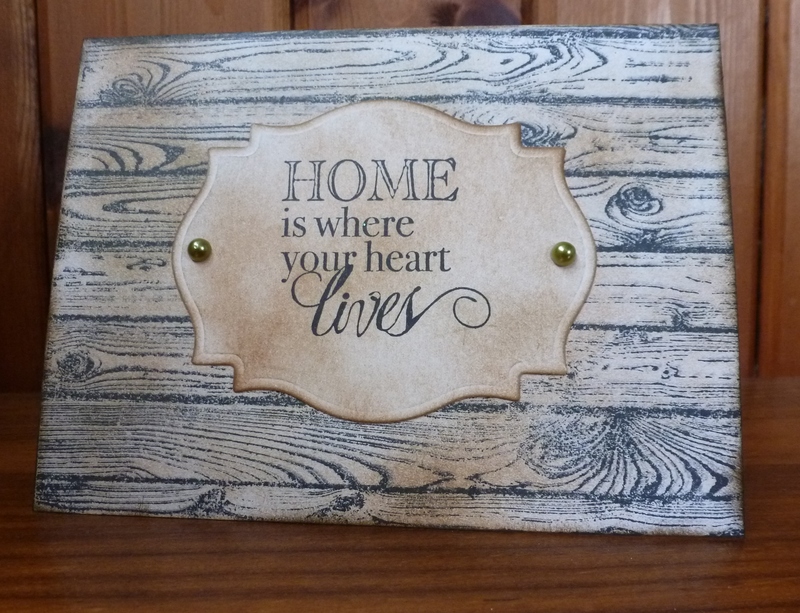 I made this simple card using the fabulous Stamping Up wood grain stamp, and used Tim Holtz distress inks on the card to colour it; ditto with the message! 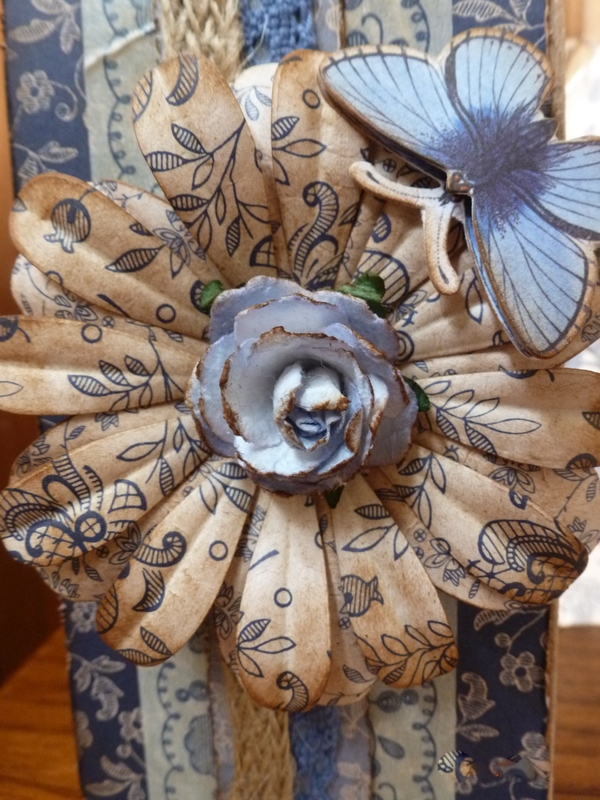 Sorry its been a while since the last post! I intend to make up for it now!